Looking to start the New Year off with some non-profit learning? We've got you covered. 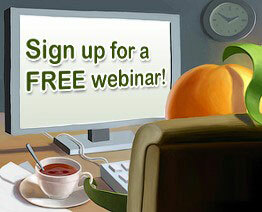 We've rounded up a list of 17 free non-profit webinars scheduled in January. You can learn about: how to hold more effective board meetings; website trends for 2015; how to promote your fundraising event using Facebook ads; building stakeholder commitment; volunteer mentoring; and much more. While each board situation is unique, there are common challenges facing the conduct of effective non-profit board meetings. These challenges include board size (typically 10, 12 or more), use of time, decision-making, and ability to keep members engaged and committed to the work. In this session I share a number of tools that can help boards have more effective meetings. These tools help you structure the meeting and do not require special training or facilitation skills. You can use them to improve your very next board meeting. This webinar is led by Richard Lent (Meetings For Results) author of Meeting for Results Tool Kit: Make Your Meetings Work. Asking is scary. As a result, too often nonprofits spend tons of time cultivating, cultivating and cultivating. But they never get to the ask! Or, if they do, they leave money on the table. To assure that you cut to the chase requires a plan and a disciplined approach. In this 4Good webinar, led by Claire Axelrad, we’ll talk about taking charge of the pre-conditions needed to get to the ask, when to ask; then how to do it so you get the most successful outcome possible. Your website is frequently the first chance you have to make an impression on your constituents. How do you tell your story, create your content, and present your site in a modern way? Luckily, you don't always need to start from scratch--there are a number of ways to tweak your existing site to help ensure that first impression you make is one of a modern and savvy nonprofit. How should you think about images and storytelling on your site? What about formatting content for users on mobile devices? Can you create content for your website that can also be used on social media or other communications channels? This Idealware webinar will answer all these questions and more as we take a closer look at the latest trends in web design and define what's worth investing in and what's just a flash in the pan. Facebook ads are a powerful way to increase engagement and drive traffic to your website. But are you using Facebook ads effectively? Are you increasing engagement, building your email list and converting more donors and volunteers? This CharityHowTo webinar, led by John Haydon, will show you simple ways to use Facebook Ads to promote your next fundraising event. You will learn how to target people who are similar to your existing donors, volunteers and supporters. You will learn how to more deeply engage your current Facebook fans, email subscribers AND website visitors. Board members, staff, donors, and stakeholders of all types (clients, suppliers, regulators, partners) need to be engaged in the planning and implementation of new strategies and actions. But how can you do this efficiently when there may be many different views and priorities? This 4Good webinar will introduce key principles and six essential tools for building dialogue and alignment across diverse groups as you work to fulfill your mission and strategy. create real dialogue across diverse participants. build effective engagement in meetings of any size. generate constructive input on plans and proposals. You will leave with specific tools that you can put to use in upcoming planning meetings. Join this CharityHowTo webinar to learn the basic fundamentals needed to start a Monthly Giving program, so you can benefit from the tremendous opportunities it can offer your organization. When engaging volunteers it can be difficult to ensure that each volunteer receives the time, attention, and training that they need to be successful - this is where a volunteer mentoring program can help! Building on the ideas introduced in Part I, this VolunteerMatch webinar will discuss some of the common challenges with building and managing a volunteer mentor program, and how to overcome or prevent those challenges. Included will be a discussion of the role that professional development for volunteers plays in a successful program, and how best to engage volunteer leaders. While it is strongly encouraged and extremely beneficial to attend both Part I and Part II of this series, attending both is not required. How to train and support volunteer mentors. Tools for managing a volunteer mentoring team. How to include opportunities for volunteer leadership and development in a mentoring program. Getting Your Volunteers Out of the Box! Volunteers are the “holy grail” of any nonprofit. Not only can they provide valuable resources and expertise but they can expand your program’s outreach to the community and bring in revenue as well. However, most nonprofits only have one or two areas where they utilize volunteers. In this fun and fast-paced webinar learn how you can more effectively utilize volunteers throughout your organization. Participants will learn how to ensure that they can recruit not only the volunteers they want but also the ones they need! Participants will learn the basics of volunteer recognition and why it is an essential element of your program. Participants will learn about volunteer management “dirty little secret” and how to overcome this. What do your volunteers need to know to be successful? This VolunteerMatch webinar will start with the basics and help you understand how to determine what information you should be sharing with your volunteers, and how that can be used to create a curriculum. We’ll then discuss how to present this information in a variety of ways using different delivery methods that appeal to adult learners. Assessing what your volunteers have learned, and creating ongoing training and professional development training for your volunteers will also be covered. If you’re tired of spinning your wheels trying to improve your nonprofit’s website, register for this training! You will learn how to focus on the three cornerstone strategies that will finally make the difference for your website. Understand what your website analytics are telling you. In this VolunteerMatch webinar, you'll learn how to increase your own capacity by involving volunteers in volunteer program administration. Where to go to get resources and help. If your organization offers a free webinar that would be of interest to non-profit, membership or volunteer-based organizations and you want to include it in next month's post, please email a brief overview (like those above) to lori@wildapricot.com no later than January 19th. I genuinely enjoy looking at on this web site, it has got wonderful posts. "A short saying oft contains much wisdom." by Sophocles.